The Hascall-Denke Designer’s Kit antennas are designed to be used in commercial, military, and other applications where reliability is needed most. 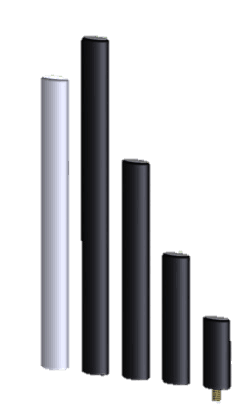 This antenna works with all radios within the WIMAX, WIFI, LTE, UNI, UNII, 3G, 4G bands. If your frequencies are not defined in the early stages of system development, then these antennas can be ordered as a Designer’s Kit. The antennas are provided with state-of-the-art radiating elements essential for maximum reliability and superior performance.